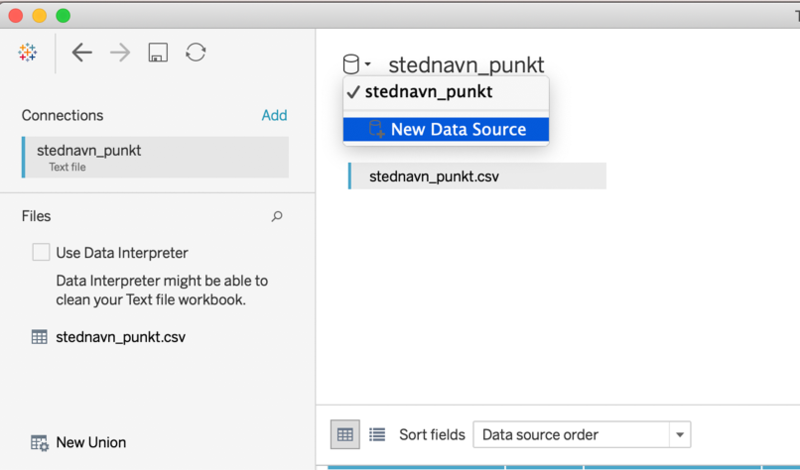 Since the release of Tableau version 10.5 we have been able to use visualizations from other sheets in the tooltips. One of my favorite applications of this feature, is that it allows me to enhance my data with pictures in the tooltips. Do you want to show an image of the specific product sold when hovering over a bar-chart? Do you want to be able to identify an employee directly from the dashboard? Or do you want to give the user a preview of a location on your map? 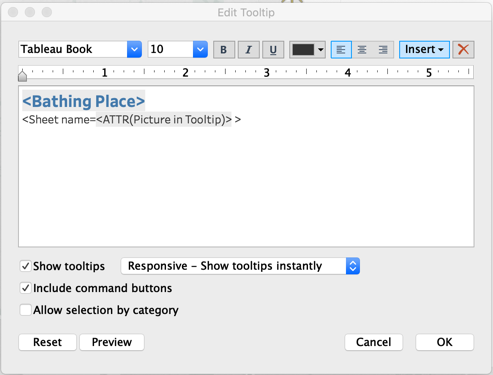 Pictures in the tooltip is the answer to these questions. In the workbook below, I have created an overview of bathing places to visit during the Summer in Copenhagen. The workbook gives the user the possibility to see a picture of each of the bathing houses, so they can choose the place that fits their preferences. Each picture is represented by a background image on eight different sheets. 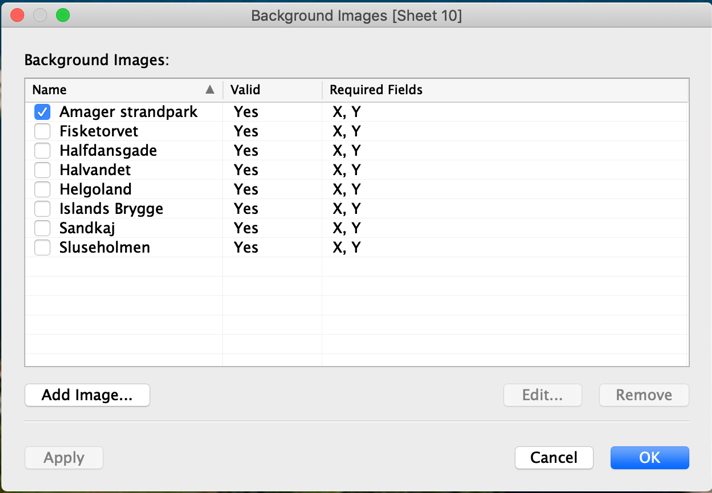 This blog post will take you through the steps of using background images to get pictures in the tooltips. 1.1 To use a background image, you first need to create an excel file with each dimension you want to visualize, in this example the bathing houses, and assign a X- and Y-number to each of these to be used as the axis. 3.1 Go to a new sheet. 3.3 In the menu that appears click “Add Image”. 3.4 A new menu will appear, here you should “Browse…” to the image you want to add. 3.5 Afterwards it is important that you specify the “X Field” and “Y Field”. Which in this example is simply the columns I have named X and Y in my coordinates file. 3.7 Click “OK” and add additional images in the same manner. 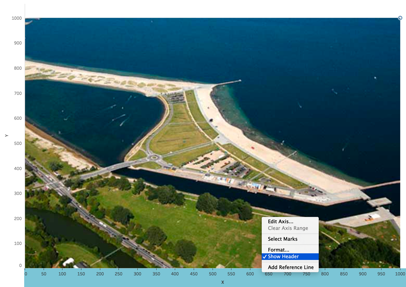 4.1 On a clear sheet, use the coordinates datasource to filter on one of the dimensions you want to picture; in this example: Amager Strandpark. 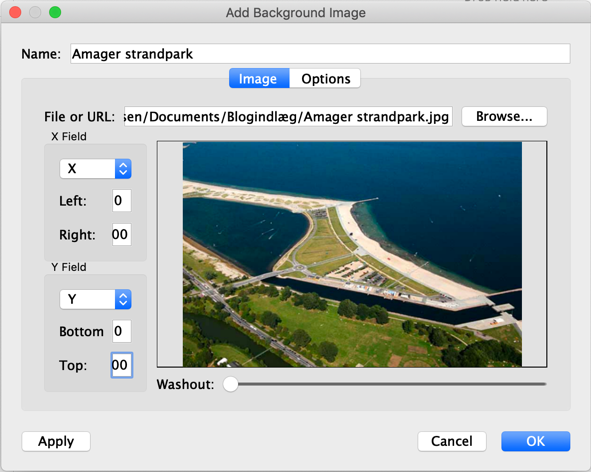 4.2 Name the sheet the same as the dimension you filtered on, in this example: “Amager Strandpark”. 4.3 Drag the “X” measure to Columns and the “Y” measure to rows. The picture should now appear on the sheet. If the axis does not fit, go to the Background Image menu and double click on the relevant picture, here you should change the ranges of the axis so they fit the picture. Go through step 4 with all your different pictures, so that you have a sheet for each picture. In this example I have a sheet for each bathing house showed on the map. 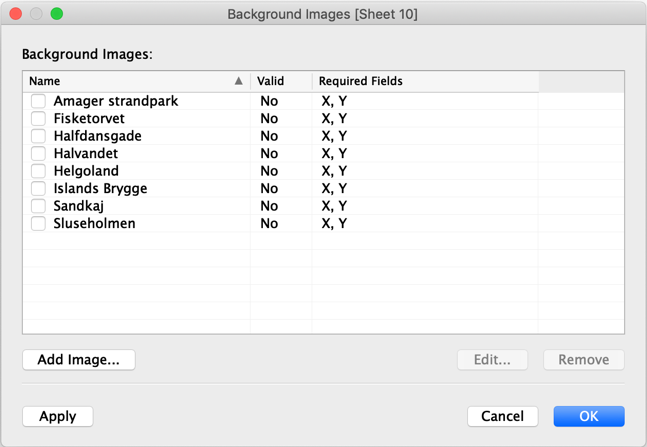 5.1 Create the sheet where you want the pictures to appear in the tooltips. But we want the image in the tooltip to be dynamic, so depending on which data point we are looking at, the tooltip should refer to a specific sheet. Therefore, we need to create a calculated field we can use in the tooltip. 5.2 Create a new calculated field, where you use the formula CASE to refer to the Dimension you have pictures off, in this example the Dimension is called “Bathing Place”. 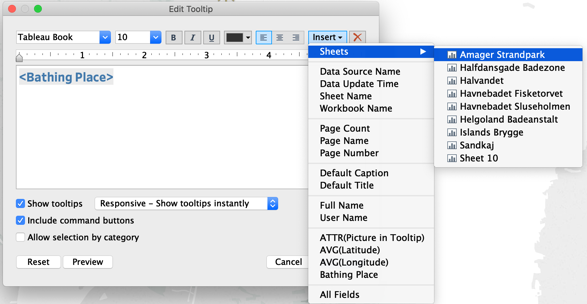 Where “maxwidth="300" maxheight="300" filter="\"> is held fixed and refers to the size of the sheet in the tooltip. Thus the only thing that changes is the name of the sheet. 5.3 Drag the new calculation “Picture in Tooltip” to Tooltip on the Marks menu. 5.6 Click ok and hover over any of your data points to see the magic! 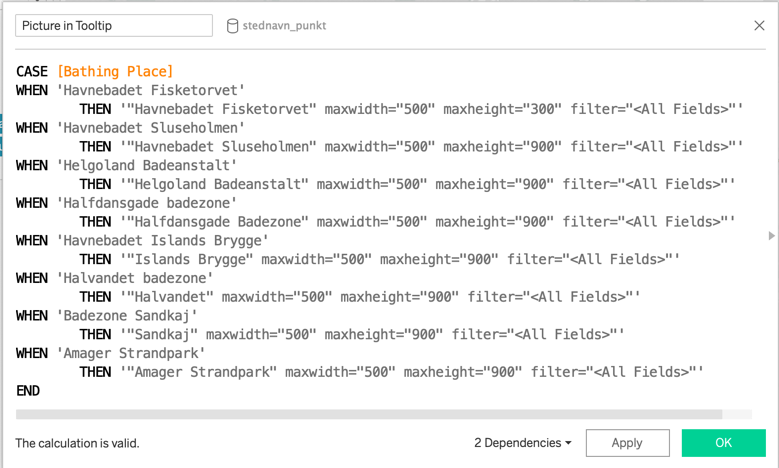 Bonus: I found the longitude and latitudes for the bathing houses in the Municipality of Copenhagen on //data.kk.dk/dataset/, which is a webpage that gives you access a lot of free data about the municipality.